Nantucket Atheneum, Courtesy Nantucket Historical Association. The grand Greek Revival building on the corner of India and Federal Streets is the Nantucket Atheneum, the island’s library. It has been home to a cadre of exceptional women, and a place where women’s voices have always been heard. Originally constructed in 1825 as the First Universalist Church, the building was purchased by Charles Coffin and David Joy in 1834, creating a membership library. Maria Mitchell became the Atheneum’s first librarian at age 18, eventually leaving the library to become the first Professor of Astronomy at Vassar College. In July of 1846, the Atheneum was one of hundreds of buildings in the downtown core destroyed by the Great Fire. Astoundingly, funds were raised to rebuild, securing one of the island’s preeminent architects, Frederick Brown Coleman, by October of the same year. Coleman’s design moved the lecture hall to the second floor and books to the first floor. Charles Wood, the builder, saw to it that the project was completed within six months of the fire. Original building, Courtesy Nantucket Historical Association. 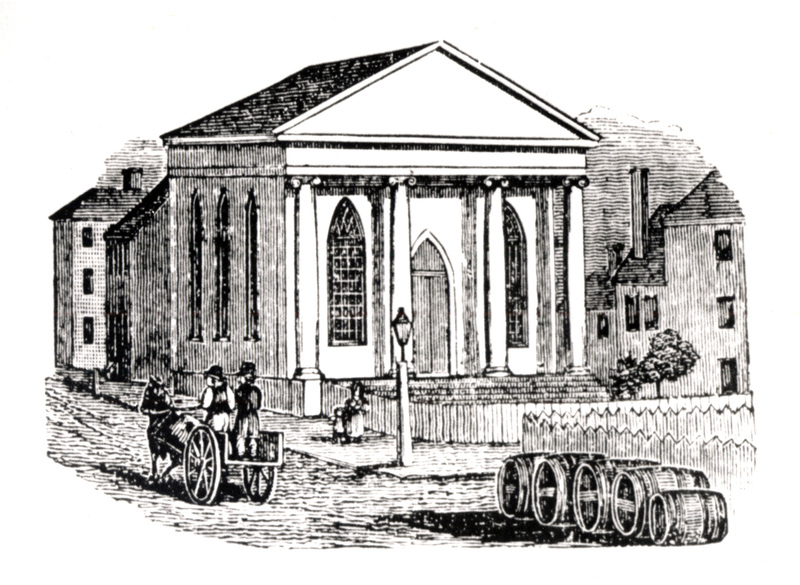 Coleman designed other Greek Revival structures in town, including 94 and 96 Main, the interior of the Unitarian Church on 11 Orange Street, and the Ionic temple of the Methodist Church at 2 Centre Street. The Great Hall allowed islanders to hear important speakers of the day, like women’s rights advocates Lucretia Mott in 1854 and Lucy Stone in 1886. Librarian Sarah Barnard served the Atheneum for 50 years, from 1856 to 1906. Clara Parker also served a 50-year tenure until 1956. Both women advanced the library by embracing new technologies like typewriters, card catalogs, and telephones. In 1955, the library was restored and remodeled. The second-floor Great Hall became a reading room. A new wing of the library, named for Starr Kynett, was added in the 1965, housing a reading room and space for a microfilm reader. Thirty years later, the Atheneum underwent another major restoration, preserving the building’s historic integrity while allowing for modern upgrades in technology. Most recently, in 1996, a children’s wing of the library was added, named for Louise Frances Walker. Modern technology means we are now more connected to the mainland than ever, but the Nantucket Atheneum remains a critical part of the island’s cultural and intellectual landscape. 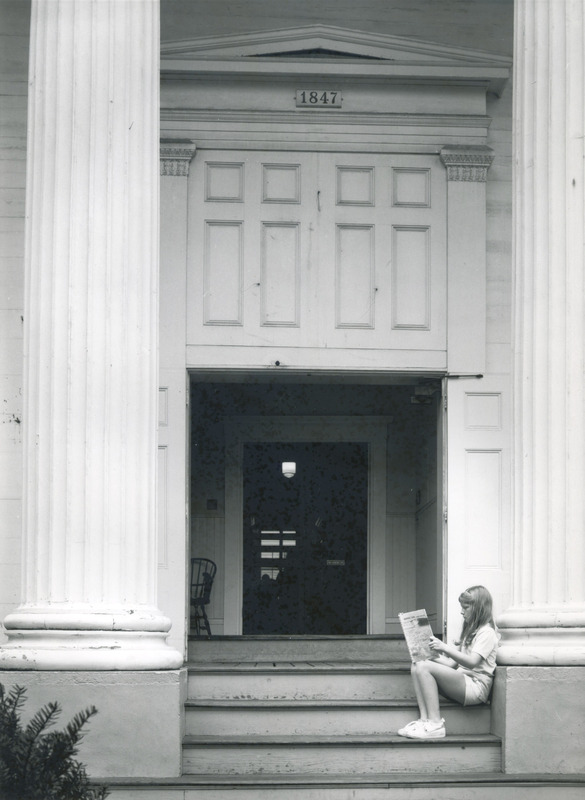 Because of the stewardship of the Atheneum’s librarians, including present-day librarian Molly Anderson, and trustees, it remains a fine example of the island’s architectural heritage. Previous PostLast Chance to Submit Nominations for the Preservation Awards!Next PostTwo Weeks Left for Symposium Early Registration!